July 27, 2011– The U.S. Fish and Wildlife Service SRC (Service Regulation Committee) has approved the 2011-2012 Texas early migratory game bird seasons, including a 70-day season and 15-bird daily bag statewide for dove, a 16-day early season for Teal and Canada geese. Texas dove season in the North and Central Dove Zones will run from Thursday, Sept. 1 through Sunday, Oct. 23 and reopen Friday, Dec. 23 through Sunday, Jan. 8, with a 15-bird daily bag and not more than two white-tipped doves. The South Zone dove season will run Friday, Sept. 23 through Sunday, Oct. 30, reopening Saturday, Dec. 23 through Monday, Jan. 23 with a 15-bird daily bag and not more than two white-tipped doves. Texas petitioned the Service unsuccessfully this year to allow for an earlier season opening framework for the South Zone. The hope was to open the South Zone the Friday after the Special White-Winged Dove Area closed, which would result in two full weekends of dove hunting in the South Zone in September. The proposal was unanimously approved by the Central Flyway; however, the USFWS denied the proposal for fear that it would negatively impact late nesting mourning doves in the South Zone. The Special White-winged Dove Area will open to white-winged dove afternoon-only (noon to sunset) hunting the first two full weekends in September running from Sept. 3-4 and 10-11 and reopen when the regular South Zone season begins on Friday, Sept. 23 through Sunday, Oct. 30 and again from Saturday, Dec. 23 through Thursday, Jan. 19. The Special White-winged Dove Area season takes four of the allowable 70 days, so when the regular season opens, this area must close four days earlier than the rest of the South Zone. During the early two weekends, the daily bag limit is 15 birds, to include not more than four mourning doves and 2 white-tipped doves. Once the general season opens, the aggregate bag limit will be 15. Texas’ 16-day early teal season will run Sept. 10-25 across all zones. Additionally, for the first time in there will also be the additional opportunity of an early Canada goose season in Texas’ eastern goose zone that will also run Sept. 10-25. TPWD has observed growing populations of resident Canada geese throughout northeast Texas. Wildlife officials determined an early Canada season would be appropriate since Texas has available hunting days within the federal framework for goose season in the eastern zone. The bag limit on Canada geese is three per day, while the bag for teal is four. Possession limit is twice the daily bag for all migratory game birds except light geese and sora and Virginia rails. Because the western goose zone in Texas only gets a 95-day season framework and all days are utilized during the regular goose season, an early Canada goose season was not feasible. 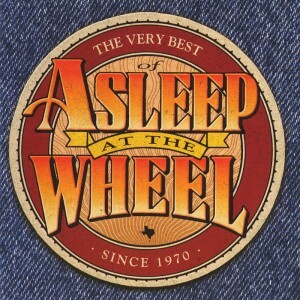 CARTHAGE- Asleep at the Wheel, the Grammy Award-winning “Kings of Texas Swing” will perform in concert at the Carthage, Texas, Civic Center, 1702 South Adams Street, at 7 p.m., Saturday, September 14, 2013. Well, the time has come for me to step up and be counted by those persnickety eco-people as a member of the Going Green crowd. I’ve been at it now for about three weeks and am close to losing my mind.